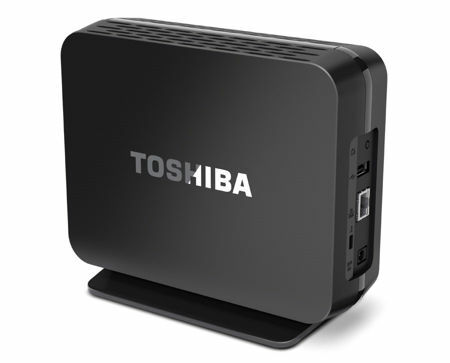 Toshiba has introduced the brand new Canvio Home Backup & Share, which is a simple and powerful network attached storage (NAS) hub for those who want to live in a connected home which will be able to bring various islands of content that enables easy access to digital assets. This particular NAS will be available in various capacities of up to 3TB, so that you will be able to access content on a contextual basis, which will flow from device to device, screen to screen and location to location. The Toshiba Canvio Home has been specially designed to address past complications when it comes to storing files, thanks to the inclusion of easy-to-install and easy-to-use software when it comes to the slew of important functions. The moment it is up and running, users should not have any issue with logging in and locating the files as well as other content that they are looking for, courtesy of a single application that boasts of a clear menu and intuitive interface. It will be different from online backup solutions, since the Canvio Home would stash away all of a user’s digital assets in a familiar, centralized and completely secure place. Hence, fret not about your data being sent to the digital equivalent of Timbuktu. Between desktop computers, laptops, tablets and smartphones, you will find numerous methods of consuming content across today’s digital playground. With the Toshiba Canvio Home, it will fit right into the digital lifestyle, where it will play nice with majority of the other popular platforms that are on the market, where among them include Windows PCs, Mac computers, the iPhone and iPad, as well as Android powered smartphones and tablets, in addition to DLNA-compatible media streaming devices. The Toshiba Canvio Home Backup & Share NAS will arrive in 2TB and 3TB capacities, where they will retail for $199.99 and $259.99, respectively.